We supply a wide range of filter cage and bag inserts designed to suit most makes and models of dust extraction systems in circular, diamond, oval flat and star shaped we can design almost any style, standard cages and inserts next day delivery. Many different metals can be ordered in different grades of mild steel, stainless steel and other alloys. 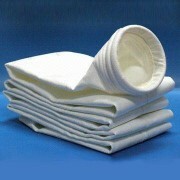 We supply a large range of different flat bag or pocket inserts with many different coatings. These are made in an almost identical manner to OEM parts, but at significantly lower costs for our customers. Cages can be fitted with either collars or Venturis or both, depending on the filter system they are required for, we can supply a wide range of venturis in various material specifications to suit most applications. Of course we also supply the filter socks and filter bags to suit our cages in many different materials such as Glazed, Polyester, Antistatic and standard materials. 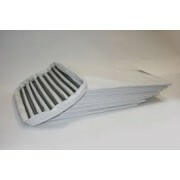 Call the team today to discuss your filter bag and cage requirements.